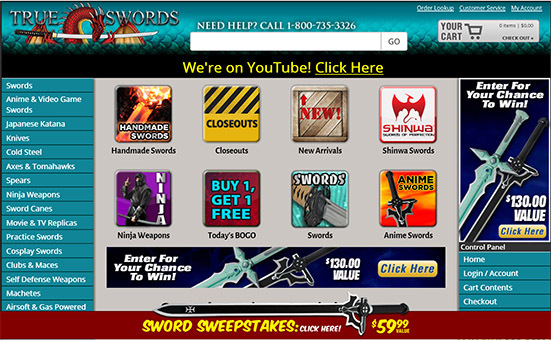 Want info on Trueswords from other members of the sword buying community? Or better yet, care to share YOUR personal experience with this company? What are your experiences with Trueswords.com? Tell us about it here! No engraving and no refund? Fast email replies, fastest shipping I have seen from anyone. Simple and easy to order online. Excellent selection. Can't go wrong with True Swords.